Why would we want to read translations and commentary on/as well the DEAD SEA SCROLLS, themselves, the ancient, religious, spiritual texts that anti-dated Christ by anywhere from ten years, (Rabbi Hillel,) to a thousand years? Because these were the books Christ read while he grew up. How'dja like to be a little like JESUS? Having a great and powerful spiritual rap! Well, Jesus didn't sprout from a cloud a full-on metaphysical genius. The guy read! He talked at the temple with Rabbis who did nothing but read what was out then. Wealthy people had scrolls in their homes and thru the TEMPLE, Jesus had access. Same as Will Shakespeare did during the years he tutored the rich families' children, before he went to London. 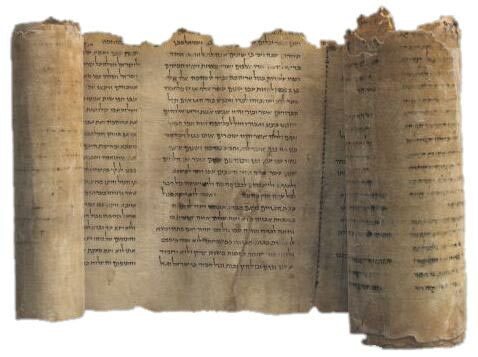 Then, there was the ESSENE COMMUNITY in the nearby QUMRAM Monastery, (a group of monks lived there who did nothing but hand calligraph up scrolls they stuck in high up mountain caves in sealed jars: The Dead Sea scrolls. Their version of 'the cloud.' There were dozens of CAVES with scrolls left for us today and these texts have ended up in books, in the post 1950s period. You can google on keywords and read whole books. Translations by Foakes, Dupont-Sommer. I ran across a bibliography of all such books by Dr. Charles Francis Potter in his "The Lost Years of Jesus". Foakes etc are l% of the authors and books on the subject. Then, as they're all fifty year old books, hit ABEBOOKS .com which sells them inexpensively. To find your authors/ their titles, GOOGLE "KEYWORDS like ENOCH. (Noah's grandpa, ergo really really old writings which are only included in SOME bibles.) Get ahold of the ENOCH scrolls or the URL BELOW can put them before your eyes in the next half minute! Google APOCRYPHA, go here http://en.wikipedia.org/wiki/Book_of_Enoch CLICK on each of these headings to read them. HAPPY GOOGLING, oh about-to-be- Saintly wise one. When we take in, we can put out!